We rent our works for window dressings or important events. Java is not installed on your system! Unique oil reproductions on canvas:Van Gogh, Renoir, Monet, Gauguin, Lautrec, Degas, Manet, Cezanne, Modigliani, Klimt, Schiele. 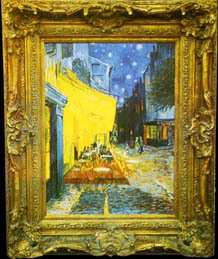 Oil reproductions strictly handmade of the works by the best masters of the impressionism and post-impressionism.